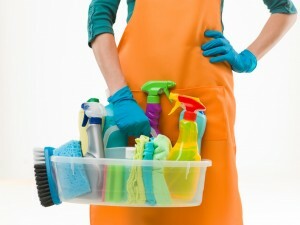 If you want to sell your house you have to make it as presentable as possible. Some people can see past a bit of grime and don’t let it affect their feelings towards the house, but others will ask you to knock a few thousand off the asking price and some will be entirely discouraged. New paint, preferably in white or neutral colours, does wonders if you’re trying to sell. If your décor is dated or – ahem – “individual”, it needs to be brought up to speed. It needs to appeal to as many people as possible – you’ll get the occasional person looking at your white walls and imagining them black, but most viewers will prefer vanilla. Outside walls count, too, so clean or repaint them. If you’re lucky enough to live in a house made from Cotswold stone, think about getting the walls sandblasted or steam-cleaned so that the lovely yellow glow shows through. Floors matter. Deep clean the carpets if you’re not planning or can’t afford to replace them. Get a professional in to clean wooden floors, or give them a new coat of paint of varnish. It’s the floors and walls that get the most attention during viewings. Make a grand entrance. Consider replacing or painting the front door; if you have shutters, paint them a matching color. Clean and polish the door knob and fixtures, and dress up the entry with seasonal decorations such as flowers or a wreath. People are naturally attracted to symmetry, so place any accents on both sides of the door. Kerb appeal is vital if you want to sell, so mow the lawn, plant some wildflowers, prune trees and bushes. If you have children and they have outdoor toys that are small enough to be hidden, hide them. If you can afford it, get a patio set or a barbecue, so that viewers imagine themselves entertaining in your lovely garden. Just keep the essentials and a few luxuries in your home while you’re selling. A good de-cluttering session means that you can either get rid of things you don’t need, or put them away into storage. Either way, once you’ve sold, you’ll find packing up is that much easier! Clean your windows inside and outside, dust blinds, wash curtains. Take down light fittings and dust them, or get some new ones. A light home is engaging and welcoming. Your bathroom needs serious attention – get an old toothbrush and scrub the grouting, reseal the sides of the bath, collect any cobwebs and clean your extractor fan. If you live in a hard water area, blitz the limescale and make everything shine. Get rid of any visible mould by whatever means you can.